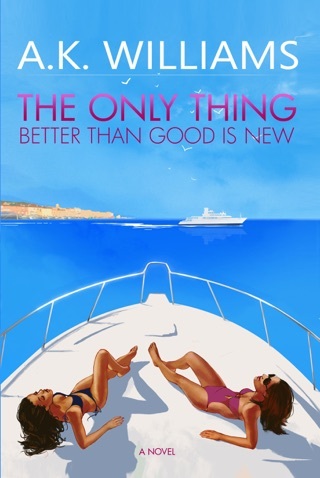 Free for a limited time, AK Williams, award-winning Author and Cheese Maker, invites you to download this next-generation ebook have fun trying fine cheese without intimidation. How to Say Cheese, provides info on the raw milk debate, where to buy stinky and runny cheese, plus seasonal platter ideas. 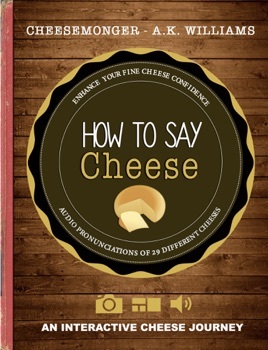 Less fromage snob and more cheesy fun, learn how to pronounce, store and eat unique cheeses from around the globe. 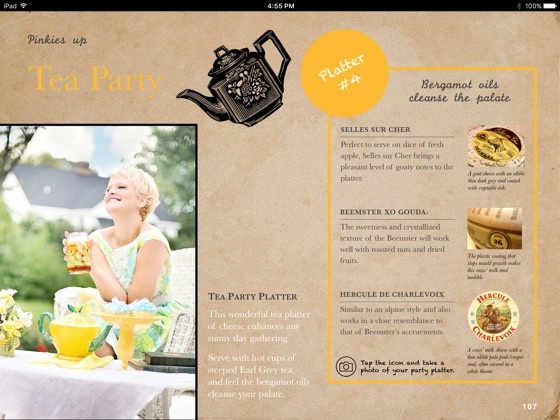 Entertaining and approachable, How to Say Cheese, offers more than reference, this ebook is loaded with interactivity. Family friendly, tap the animal icons for fun sounds and cheesy producer videos. Readers say that after exploring this interactive cheese journey, they now feel less intimidated and more confident when approaching a fine cheese counter. 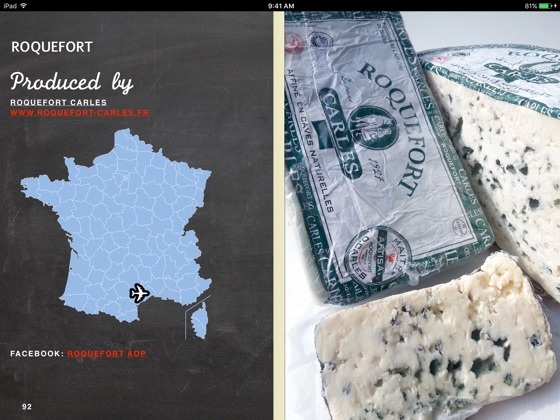 Share this book with your local cheesemonger to research similar artisan cheeses available in your area. You’ll wanna eat this book! This book is to be enjoyed on so many levels. The photography is a visual delight. The cheese knowledge one will gain takes you from its region, to pronunciation, to serving it on the table with added recipes to enjoy. If you are a fan of cheese, as most of us are, this book will be a little treasure. 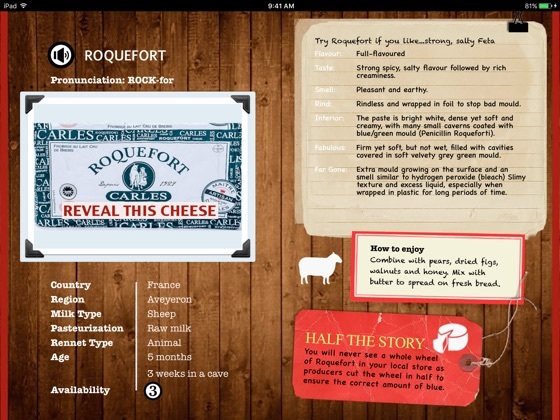 What a great interactive book about cheese! 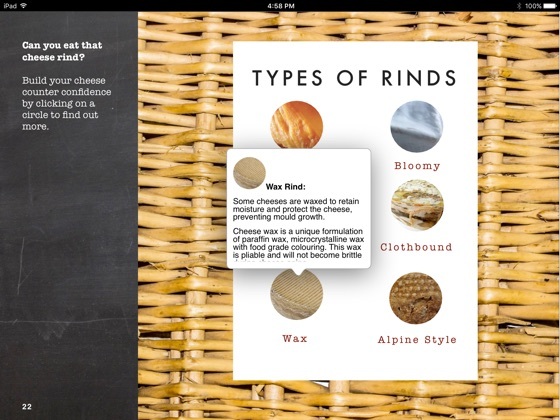 Perfect interactive book for the cheese aficionado or the person who wants to become one! This gem of a book is packed with so many things about the cheeses I truly enjoy…and made me want to try some more! The information provided throughout allowed me to truly appreciate the different types of cheeses, how they are made, and the differences between the flavor and texture. It also gave me great ideas on what foods to pair them with and helped me with the various pronunciations. 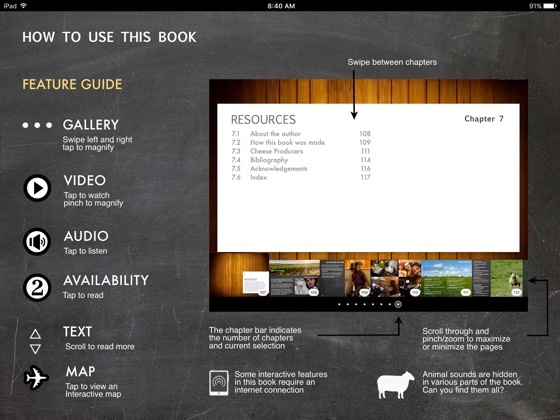 What a great addition to my digital book collection!